OPEN HOUSE SUNDAY MARCH 24th 2-4PM! JUST REDUCED!! 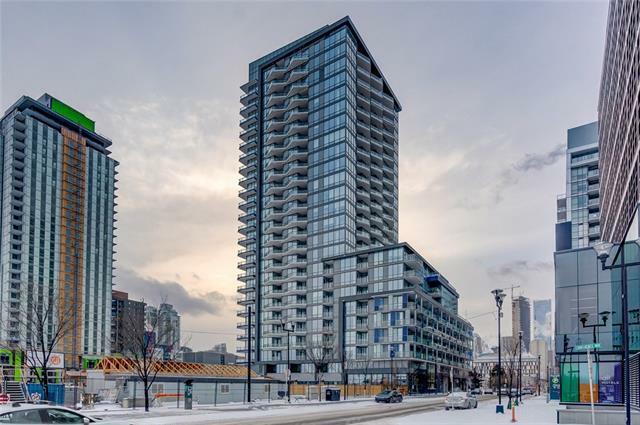 New 2 bedroom 2 bathroom corner unit in a full amenitie building, located in the trendiest neighborhood in Calgarythe East Village. 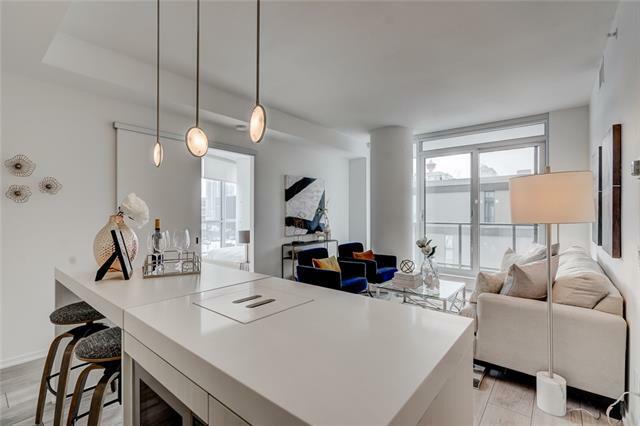 Modern finishings greet you as you enter this well laid out condo, and the floor to ceiling glass windows fill the property with the light from the South West facing exposure. 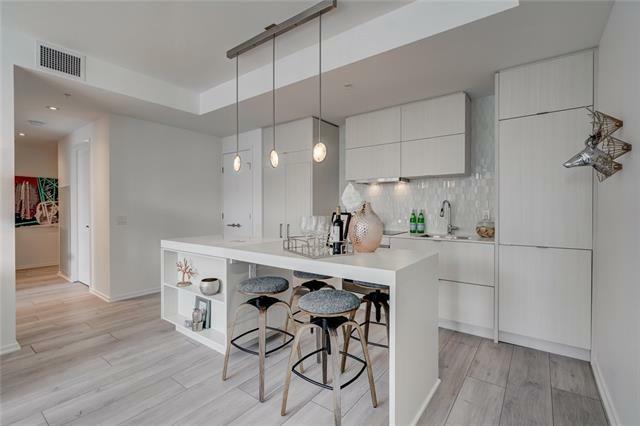 The kitchen is fitted with a high end appliance package, thick stone countertops with a built in dinning/island ideal for entertaining guests, and opens onto your living room...with sliding glass door access to a large private balcony and views of the Downton skyline. The master bedroom definitely has wow factor with a full corner of windows offering panoramic views, and ensuite bathroom. A second bedroom and full 4 piece bath complete this home. 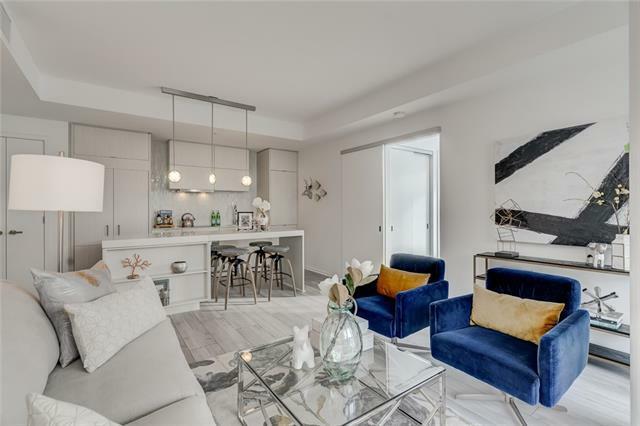 In-suite laundry, Underground parking, storage locker, party room with hot tub access, full gym, and concierge service as just a few other highlights of this property!